Janet L.Conigliaro focuses her practice in the area of automotive and products liability litigation. Ms. Conigliaro is experienced in managing automotive and product liability class action cases including serving as national discovery and e-discovery counsel for cases in multiple jurisdictions, covering numerous allegations and subject matters of first impression. In this role, she has led and coordinated fact investigation, prepared discovery responses, negotiated protective orders and e-discovery protocols, and developed pre-class certification discovery plans in accordance with overall case strategy. Also in the area of e-discovery, Ms. Conigliaro has experience in the development of e-discovery guidelines for written discovery, and in implementing best practices and strategies in pattern product liability litigation matters. 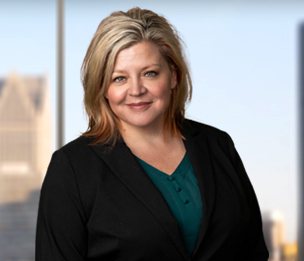 Before joining Dykema Ms. Conigliaro served as an associate at a mid-sized Detroit law firm, as well as spent 12 years as a paralegal in a variety of corporate law firm settings, in particular supporting defense strategies with regard to product liability matters. Edwards v. Ford Motor Company, USDC SD California, Case No. 3:11-cv-01058. Class certification denied, June 2012. Martin et al v. Ford, USDC ED Pennsylvania,Case No. 2:10-cv-02203. Class certification denied, July 2013.